Nearly two thirds of Millennials are interested in installing solar panels and 47% want Time-of-Use electricity pricing from their utility company. 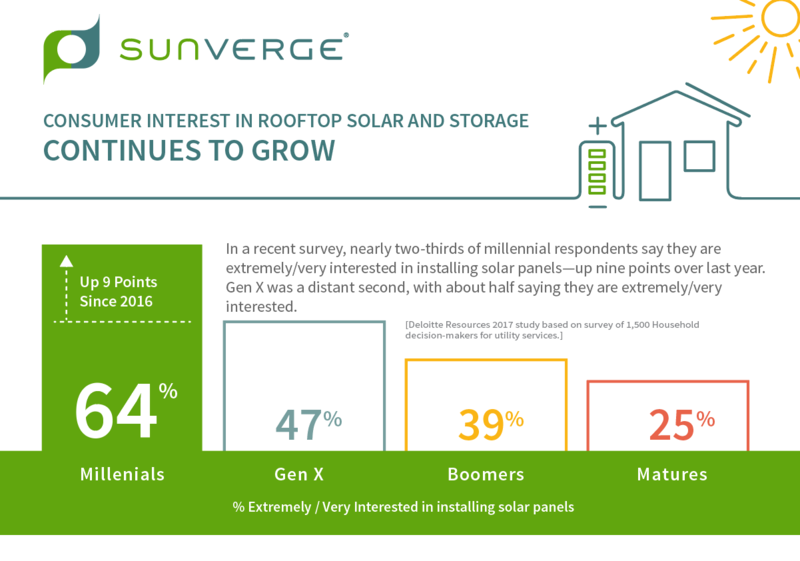 Recent studies show a sharp increase in consumer interest in solar and storage systems. This Factbook summarizes the latest consumer market insights from Deloitte Resources, Navigant Research, and the Clean Energy Group.